I love that part of Baja! What level of participation is required, and what sort of benefit would be realized? I did not follow the link provided in the video, I get enough e-promotions already. You can reply by U2U if you prefer. I wish you all the luck and support I can Lig��! We all know what happened to Danzante courtesy of the Villa Group. Methinks you ought to look elsewhere. That said, the Villa property has been struggling simply because of the availability of flights to Loreto and its distance from town. Yes, chuckie... Ecomundo was a nice place to stop in for a beer, sandwich, and a talk. Ranger Roy, his Thai bride, and a few other characters of the finest kind. Unfortunately it did not last long enough. 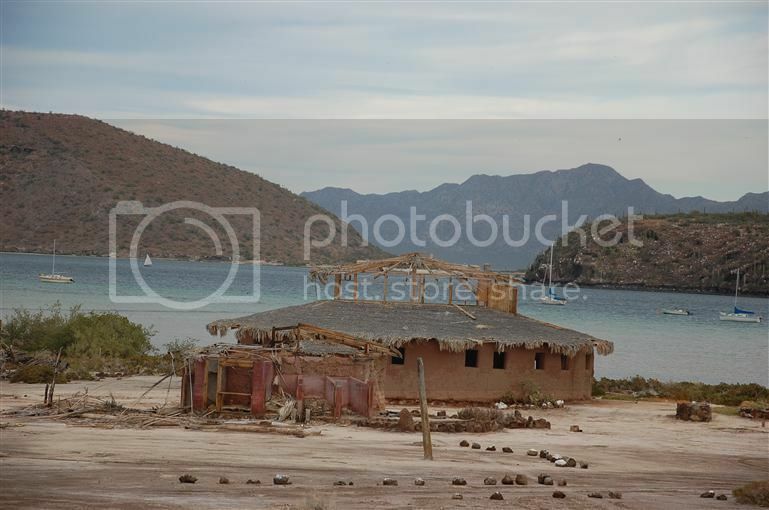 Like a lot of start-ups in the Mulege area, you just got used to it, then in wink of an eye..it was gone. I wish greater success for liqui's project. It seems to be in a more populated area and should draw more clients. I do what the voices in my tackle box tell me. Bajahowodd , i already have the property why would i look else where . Danzante was bought out by the villa group for over 5 million dollars . I'd not unhappy if that happened to me . Very glad we are out of town and we will see what we will see . Should be fun trying . Or selling to Villa Group for phase two of Viilas De Palmar Loreto? and things now are way more expensive to build and "staff"
maybe build an assisted housing development for "old guys"
Serious question, how does an eco-resort differ from a regular resort of the same size? The health benefits of spending time in nature are well-documented, as are the stress-relieving benefits of taking a vacation. Travelers looking to really get away from it all, and help conserve some of the world's most pristine natural habitats, should consider de-stressing at a relaxing and secluded eco-resort. Good for your stress levels and for the environment, these destinations are both tranquil and invigorating, often featuring spa services and complimentary yoga classes alongside rainforest tours and water sports. And it's a vacation you can feel good about : From a private island and reserve off the coast of Zanzibar equipped with the latest eco-technology to a sustainable lodge celebrating Pueblo culture in Taos, New Mexico, all are committed to preserving the surrounding land, benefiting native communities and employing local staff. Thanks whale-ista. I guess I'd like better a geezer resort like Bob and Susan and Chuckie are talking about. Rental boats with steering wheels and motors. Somebody else to go to town for supplies and find firewood for campfires. A supply of old boating and sportsman magazines. Walking paths between buildings with solid footing to prevent capsizes. Especially to and from the tiki bar. A billiards table for exercise. I watched the video but what is your vision? I am interested in these types of projects in Latin America but I am curious what you envision for a development and what type of client you are trying to attract. "A reech-beetch-beach-greengolandia-on-the-cheep weeth free dreenks and no teeps and 24/7 seecuritee?"..... close? Oh yeah... and when somebody weeth a boat sez "LAUNCH" we all get free home taco deeliveree !! !